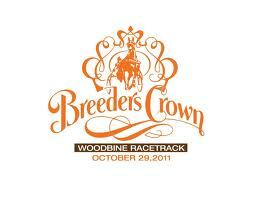 All 12 divisions meet at Woodbine on Saturday, Oct. 29 for the Breeders Crown finals, the second-straight year that all the standardbred events take place on one race program. Not only are the millionaire harness horses meeting to do ultimate battle with one another, TwinSpires players will be wagering on the early Pick 4 (races 4 through 7 with a $100,000 guarantee) and late Pick 4 (races 9 through 12) having a million TwinSpires Club Points on the line in the Hit-It-And-Split-It competition for each Pick 4s. Click here for details on the million-points promo. More analysis can be found in the last edition of this year’s exclusive blog, Breeders Crown Countdown. On the night of the finals we will be reporting live on TwinSpires with reports via Twitter, in exclusive cooperation with the event’s handlers, the Hambletonian Society. On the site at Woodbine we have sources (horsemen) giving us up-to-the-minute news about the entries, the track condition, et al. So follow the accounts @FrankCotolo and @RayCotolo for brief tweets. TwinSpires helps you truly experience the Breeders Crown finals with its special harness connections, so lock and load those accounts and get ready to fire for points and profits on Oct. 29. What follows are each of our suggested contenders to win; along with three other horses in each field we call “exotic material.” These are horses you may want to use in various exotic wagers in that race. Race 1 presents the older femme trotters, a group that hardly has enough action during the year, as do other divisions. Still, these battleaxes can fly and with the retirement of Buckeye St Pat, hands down one of the division’s best and the defending champion, this race becomes more fascinating to wager upon. We will be backing Jersey As. She is consistent, competitive and always poised to challenge. Post 8 may be the best place for her to launch an upset attack. Exotic material: 6-Action Broadway, 9-Autumn Escapade and10- Frenchfrysnvinegar. Don’t look for an upset, key the 5, Win Missy B. She had a week off (did not have to race in elims) and has gotten as hot as they can get coming up to this race. She may be a short second choice but she has what it takes to take down the big favorite. Exotic material: 2-Circles, 4-Check Me Out, 7-Miss Paris. Mid-season, Pirouette Hanover was poised to dominate the division. However, after losing the Champlain in early September she took a well-deserved rest. Training into this event she looks great and because she stepped back from the scene we are promised a decent price on her with her regular pilot, Ron Pierce, ready to rumble from post 3. Exotic material: 5-Economy Terror, 6-Shelliscape, 7-Big McDeal. In his elim, Hurrikane Kingcole was dynamic, especially from post 9. We picked him for that affair because he was primed to get to the “Crown” and he was ready to roll on his favorite oval. Trouble ensued; he suffered interference 11 lengths behind in the stretch and closed faster than a cheap outlet store to get third at 13-1. From post 5 this week we support a mighty upset. Exotic material: 4-A Rocknroll Dance, 5-Hillbilly Hanover, 10-I Fought Dalaw. From Above was scratched from the final, earning the berth by the skin of his teeth in a poor mile that indicated something was wrong after two great wins. Trainer Greg Peck took him out of the final and now we have another kind of contest. Dan Daley’s Royal Shyster jumped uncharacteristically at the start of the race and still made the final. He draws post 8 but that won’t matter if Daley gets a sharp start that doesn’t take too much out of him. He is a rank outsider, for sure, but it could be Daley’s night with his best change for a Crown win yet. Exotic material: 3-Uncle Peter, 4-Possess The Will, 6-Appomattox. We loved the elim mile traveled by Maureen Rocks and we adore her leaving from post 1 in the final. She held second after pulling to be first over at the half, chasing the favorite with aplomb. Expect a giant mile and a more severe challenge to the obvious favorite, the winner of last week’s sole elim for this division. Exotic material: 3-Chancey Lady, 6-On The Glass, 8-Rock N Soul. San Pail, the dominating older trotter in North America has to contend with two imports that have traveled far to contest this division. But we are going to go with an upset here, banking on Lucky Jim having his way from post 7, staying flat and taking advantage of what might be some nifty duels ignited by the “visitors.” As well, this may be the best price you will get in years on this stalwart trotter. Exotic material: 2-San Pail, 5-Rapide Lebel, 6-Hot Shot Blue Chip. Last week in the second elim for this division we won with Rocklamation, beating the once-super filly See You At Peelers. That one finished so badly she is not here. None of this matters because 2-Drop The Ball, cannot be denied greatness. A dead-on choice, perhaps odds-on, it is her race to lose and we don’t think she will lose it. Exotic material: 3-Rocklamation, 4-Krispy Apple, 6-Monkey On My Wheel. This is as simple as it was in one of last week’s elims: 5-Manofmanymissions wins if he doesn’t break stride. The only colt to beat him straight up is also here and he could do it again but only taking advantage of some other mistake that may happen. Either way, Manofmanymissions should win the divisional championship even though he blew the Hambletonian by running. Exotic material: 1-Spectator K, 2-Luckycharm Hanover, 8-Daylon Magician. We will stand alone with our prime contender in this race but we have done so before to the tune of great profits so here we go again. We are staying with our elim pick, 10-Pantholops, empowered by the fact that she earned a berth considering the trouble she ensued in the elim. Granted, she has her work cut out for her in this mile but going against the grain in this situation could pay off for such courage. Exotic material: 1-Lady Andover, 4-Cedar Dove, 7-Jezzy. Again, we are sticking with one of our elim choices, 8-Fashion Delight. Trainer Jim Campbell calls upon brother John to take the reins. Tim Tetrick got the colt into the final with a great late move, one more impressive due to being impeded when second over to a jumper. Though he has not lived up to potential this season after a rock-and-roll frosh campaign, he looks like he may be heading for a great older season and why not start that charge now? Exotic material: 5-Alsace Hanover, 6-Roll With Joe, 9-Big Bad John. All year these monstrous males have plowed and pounded their pacing abilities against one another of some of the best purses in the business. We had our share of scores in this division but suffered from some bias toward We Will See. Awkward at three, he really blossomed at four, able to take on older horses with the kind of speed that terrorizes any horse near him. We surrender, even though he lost his prep, and support him from post 1 to close the 2011 series. Look for a track and possibly four-year-old speed badge here; driver Pierce will let this guy loose. Exotic material: 2-Foiled Again, 4-Mach Dreamer, 5-Bettor Sweet.